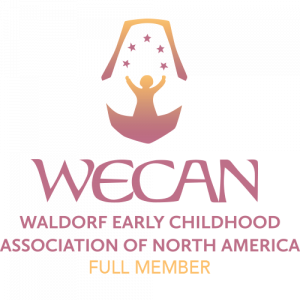 Waldorf education is a vital, living approach to learning, rooted in a long tradition of honoring children. The first Waldorf school was founded in 1919 by the Austrian philosopher and scholar Rudolf Steiner, who reasoned that the school’s faculty, being closest to the students, should hold the ultimate responsibility for curriculum and school governance. As a result, every one of the nearly 900 Waldorf schools in existence today is unique, shaped by the particular needs of its children, community, and teachers. Yet all Waldorf schools share the common philosophy that education should serve the whole child: head, hands, and heart. Waldorf teachers, who typically follow the same class through all eight years of school, rely on stories, songs, movement, and art projects more than traditional blackboard lectures. The curriculum is designed to complement the natural developmental stages that children pass through on their way to adulthood. In kindergarten, learning is experiential, with a focus on storytelling, songs, outdoor play, and free play with natural toys. As students enter the lower grades and begin to learn traditional subjects like language arts and mathematics, the teaching methods continue to rely on the concrete, hands-on techniques appropriate for younger children. In the upper grades, as students begin to develop individuality and critical thinking skills, the curriculum shifts again to meet them at this important life stage, while building on the skills laid down in the early years. Throughout their years at Pleasant Ridge, children learn by doing: kindergartners on their morning walk learn to identify useful native plants; third-graders understand math and time management skills by running a real farm, fifth-graders learn physical fitness and ancient Greek history by participating in pentathlon games. Every academic experience is designed to stimulate creativity, independent thinking, and love of learning. The care that the Waldorf curriculum takes to support children in their development is reflected in the excitement and energy that the children bring to their work. Students at Pleasant Ridge love the school as much as their parents do! The Waldorf School of the Peninsula produced an award-winning documentary on their school and Waldorf Education called Preparing for Life (below). Talking with Silicon Valley entrepreneurs, Waldorf teachers, a Stanford Research and parents, Preparing for Life explores what children need, to not only succeed in navigating the challenges of the future to to find joy and happiness in their lives. Waldorf 100. The video is celebrates 100 years of Waldorf Education around the world.